In a medium bowl whisk together mayonnaise, Grillville spice, lemon juice, and cilantro. 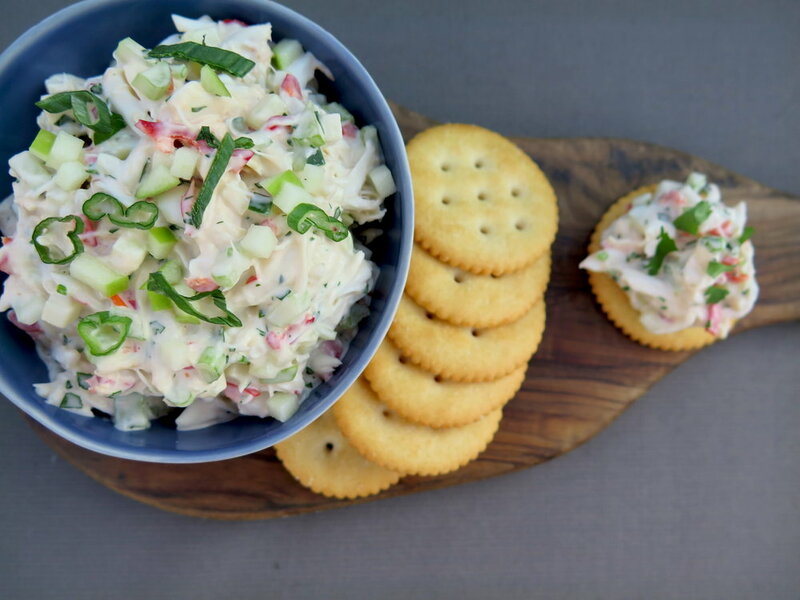 Add in crab, apple, celery, cucumber and pickled peppers and toss until thoroughly combined. Cover and refrigerate for at least 30 minutes, or up to 4 hours. When ready to serve, drain off any excess liquid and adjust seasoning with additional Grillville spice and lemon juice. Serve with crackers or butter lettuce cups.